Just last Friday, I wrote about how Amazon (s amzn) has essentially become a book industry “in a box,” having completed the vertical integration of the book industry by launching their own imprints. Now that box has just gotten a whole lot bigger. On Sunday, news broke that Amazon has hired former Time Warner (s twx) Book Group CEO Larry Kirshbaum, who is expected to create a slew of imprints that would put Amazon into young adult, literary fiction, business and general non-fiction. What does this mean? With Amazon opening a New York office and making a full-on assault of publishers across many of their publishing markets, it looks like the industry’s “Big Five Six” — the term traditionally used to refer to Random House, HarperCollins, Hachette, Simon and Schuster, Holtzbrinck (Macmillan), and Penguin — is fast becoming the Big Six Seven. And with book buyers rapidly going digital, the company that owns the lion’s share of the e-reader market could have a huge advantage in getting its books in front of readers (who hasn’t bought a book as a result of Amazon’s recommendation engine at some point?). Not only that, but the existing Big Five Six will now see books from Amazon imprints next to their own offerings in brick and mortar bookstores. The timing of Amazon’s move is no coincidence, since the industry’s biggest confab — Book Expo America (BEA) — gets underway this week, and there’s no doubt Amazon’s new imprints and the hiring of Kirshbaum will be the talk of the show. Many will likely react negatively, as the book industry has in general shown great dislike for the boat-rocking ways of Amazon, as evidenced by its efforts to change Amazon’s pricing. And it’s not just publishers, as booksellers hit hard over the past decade by Amazon’s price-cutting ways have gone so far as to organize a boycott of authors who go with Amazon’s imprints. One question that remains unanswered is how Barnes and Noble (s bks) will react to Amazon’s moves. The company — which is fast-becoming a digital retailer with a brick and mortar legacy business — has long had its own imprints, but has never shown itself to be overly aggressive in that market, probably out of deference to its relationships with big publishing. But now, with Amazon fully integrating all components of the industry and B&N seeing renewed interest from its own aggressive move into digital, I have a feeling B&N will throw deference out the window and look to join Amazon in expanding the Big Five Six to the Big Seven or Big Eight. 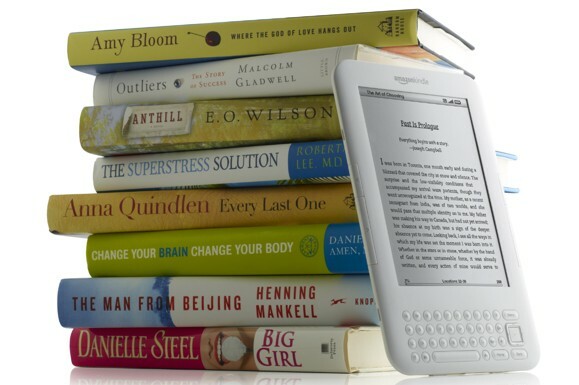 Seems to me that Amazon is bound to be THE leader in publishing both ebooks and print. Watching Barnes&Noble continually stall and make late decisions also seems to indicate they are not a pioneer at all and more likely to have serious issues based on taking too long to make a move. There’s nothing stopping the legacy incumbent publishers from being first to market with new business models, and yet Amazon is the one that tends to experiment with new innovations — such as the ad-supported e-reader concept. Perhaps the publishing industry leaders can’t learn from the mistakes — and resulting outcome — of the music recording industry or the video entertainment sector. It seems that fear of cannibalizing their traditional revenue streams has proven to be very difficult to overcome.